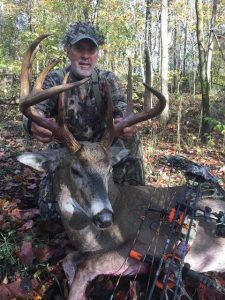 Join avid bowhunter & outdoorsman Dan Furmanik as he shares his methods & techniques of “Firing Up The Rut” using Paul Pollick’s #1 Selling Doe-In-Heat Lure…”FLAMING SEDUCTION”! 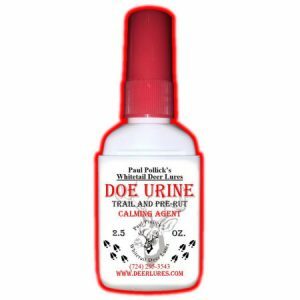 Scientific facts & stats along with an in-depth look at this powerful deer lure offered in both a liquid spray and oil-based gel! 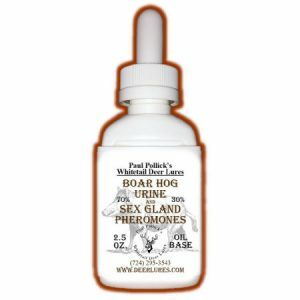 Tell Paul thank you! 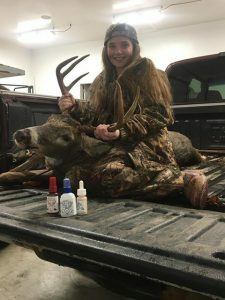 3.5 hours after I left your place from picking up fresh scent Samantha harvested this beautiful buck that walked right into a buck decoy sprayed down with buck urine and two flaming doe scent wicks…. Awesome stuff!! Thanks again!! I don’t score my deer but he would be in the upper 60’s low 170’s. 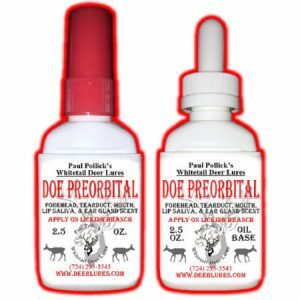 I use Preorbital and Interdigital pretty much year round. He was taken over mock scrap line, 3 scrape in a line with your Preorbital and Interdigital. 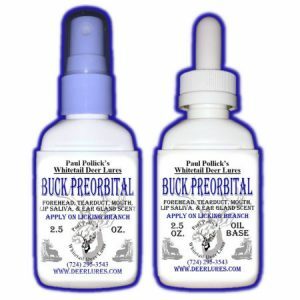 Started early in October with your Scrape Starter then freshened up with Dominant Buck Urine. 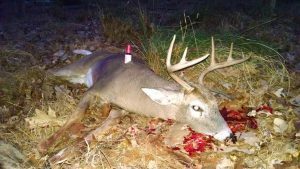 Shot him at 9:30 in the morning of October 27 in Indiana. I’ve been using your products for 3 years, and this will be the 4th season this year. I added your Flaming Seduction to the others. Can’t wait to get started! Thank you for working to make a great product! 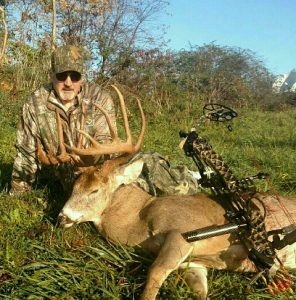 Flaming Seduction cost this 186″ Ohio brute his life, he was chasing a half racked eight point out of a bottom into a pasture when after crossing my Flaming Seduction scent wicks bombs he slammed on brakes raised his head to smell and received my arrow. 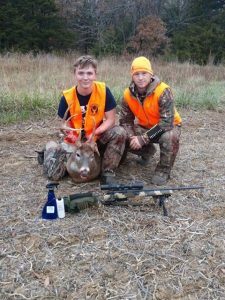 Flaming Seduction was the key to me taking this buck of a life time. Paul, I have been guiding him the last 2 days. This morning I freshened up a scrape line this morning and hung some Flaming Seduction. We set tonight and about 3:45pm this old guy was coming straight at us working the scrape line. 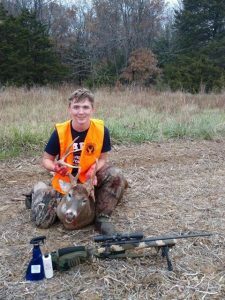 It’s not the biggest deer in the woods but it’s his first buck and he was more than excited. Your Flaming Seduction works amazing! Last year we got a 10 point using your products. I wrote a testimonial and sent in pictures. I didn’t have any pictures with the scent bottle in it however. I didn’t make that mistake again this year. Thanks for the great products. Feel free to put the pictures and testimonial wherever you like. I was hunting alone and couldn’t take any pictures with the scent and the deer but at least I remembered to take some with the scent. 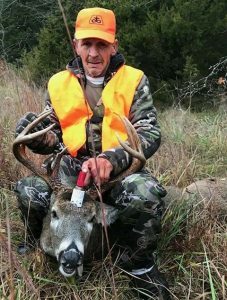 Another year past, another hunting season gone, another buck taking a permanent dirt nap thanks to Paul Pollick’s lures. This buck was a result of good stand placement, good timing, and some Flaming Seduction blowing into a bedding area. This is the second year in a row that Paul Pollick’s lures have brought a nice buck into bow range for me. Thanks for the great products. 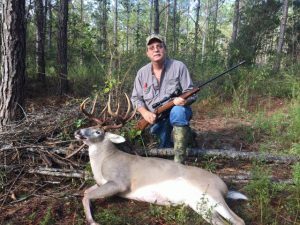 I look forward to using your products again this year to help me fill my buck tag. Just wanted to thank you again for your products. 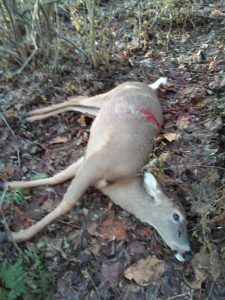 Went out today and shot a doe using of all things ….. Flaming Seduction (picture attached). She caught wind of the scent bomb and lip curled it in. She hung around and licked her rump for at least 2 minutes straight. Had me thinking it triggered some response to the estrus scent. If I had to choose between taking my bow into the woods or your lures…..I would take your lures. At least I would see deer. And that’s where the fun is for me. Take care and have a Merry Christmas!